When the California Legislature and Gov. Jerry Brown reached an agreement on the budget, the new fully online community college made the cut – which would not have happened without the active support, advice and advocacy efforts of many partners across the state. And this week, the Legislature authorized the launch of the new college in a budget trailer bill. The budget agreement includes $120 million in 2018-19, with $100 million in one-time and $20 million in ongoing funds. Also included is language to strengthen alignment between the online college and other community colleges and $35 million in one-time funds to help improve online education at all community colleges. 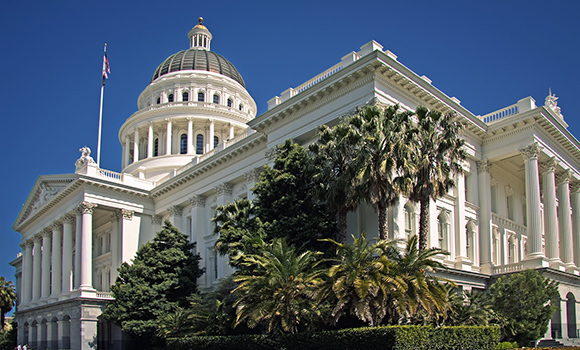 The design recommendations from the Future of Work Meetup series were sent to representatives in the legislature and on the California Community Colleges Board of Governors. Thank you to those who hosted and attended the meetups earlier this spring and for lending your creative thinking on this effort. 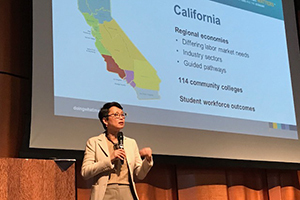 The California Economic Summit will continue to monitor this initiative and seek the advice of the network to help support the community colleges implement this innovative opportunity for California’s stranded adult learners. MeetUp participants expressed concern about the lack of equitable access to technology and reliable internet. In 2017, $20 million was designated for grants to increase publicly available or after-school broadband access. These funds will be distributed by the CA Public Utilities Commission in the new Broadband Adoption Grant Program. Applications will be accepted starting July 1, 2018. The approved budget agreement also includes a new funding formula for community colleges and provides $150 million in ongoing Proposition 98 funds for the Governor's proposed K-12 CTE program administered through the community college Strong Workforce program. Embracing the Board of Governor’s Vision for Success, the new funding formula will help colleges better serve all students and eliminate equity gaps. The additional funds for the Strong Workforce Program will support K-12 CTE programs that are aligned with needed industry skills and regional workforce development efforts – including funding for industry experts to provide technical support to local education agencies.